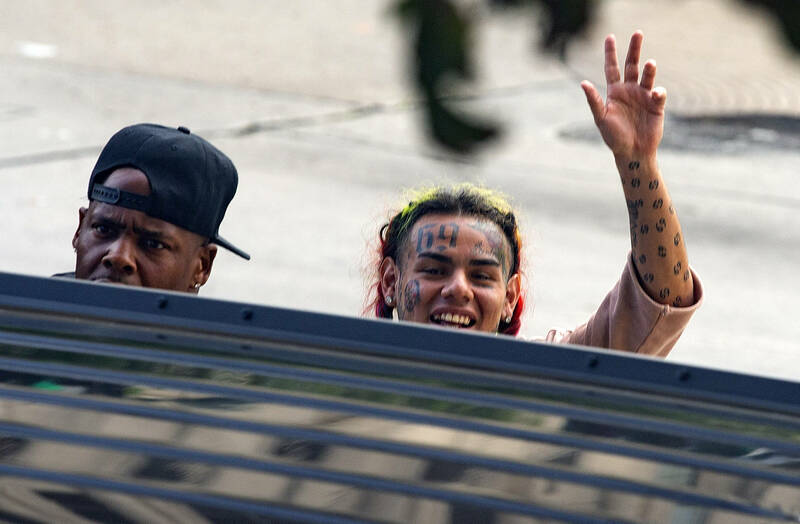 The status of 6ix9ine's legal trial has been watched with great interest. While the Dummy Boy rapper once enjoyed a rapidly rising career, he soon found himself dragged by down to Earth, largely through his own misdeeds. Next came RICO charges and revelations of gang ties, drug pushing, and violent offers. Since his arrest in November, many have speculated on Tekashi's ultimate fate. Some, like Boosie Badazz, believe the rapper is destined for the dirt, as snitching still yields real-world consequences. Others, like his baby mama Sara Molina, believe the rapper will essentially walk, a narrative bolstered by a recently released courtroom transcript. "He basically admitted to the crimes he took part of, his participation, and he's agreeing to disclose any other information as far as what happened and who was there and how it happened," explains Molina, during an interview with Vlad TV. "And set forth, since he has done that, as long as he doesn't get into any further criminal activity or crime, all nine counts are out the window. That's how I take it. Basically, we could read in between the lines of what his agreement was." Yet today, The Blast has come through with a reality check. The publication claims that an integral word - further - was actually missing from the circulating transcript. In truth, the document should have read: “[The U.S. Attorney's office] agrees not to prosecute the defendant further for the crimes set forth in Counts One through Nine of the Superseding Information as well as additional crimes that the defendant has told the government about.” For some context, the originally released transcript wrote: “agrees not to prosecute the defendant for the crimes set forth..."
An easy mistake to make. Still, the inclusion of further suggests that 6ix9ine will not simply walk free, not even after offering an elaborate, canary-esque song. The Blast claims 6ix9ine's cooperation may very lead to a sentence well below the expected minimum of 47 years; anything else, however, will spell big trouble for the Rainbow Wonder. While it's difficult to discern how The Blast came to this particular revelation short of their sources, the circumstances do not appear to be as "cut and dry" and many initially speculated.